Even though the elimination against Girona was painful for Atletico Madrid, striker Antoine Griezmann wanted to remind everyone they are still in La Liga. Despite last Wednesday’s Copa del Rey elimination for Atletico Madrid against Girona, this shocking setback doesn’t stir Antoine Griezmann from the main two objectives this season. The Colchoneros began the season with a clear goal, which is to fight for La Liga and most importantly, the Champions League. The continental tournament’s final will take place at the new Wanda Metropolitano Stadium in Madrid, a unique opportunity for all Atletico fans that the club doesn’t want to pass and they are still determined to get all the way to the last stages of the competition. But fortunately for them, the Colchoneros are also still in the fight to win La Liga this season and they are far from finished despite last Thursday’s heartbreak. 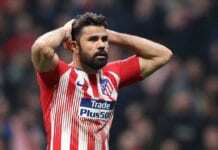 Manager Diego Simeone did send a hopeful message after the match, one that struck a nerve amongst the players and possible will help them forget this sour moment sooner rather than later. Such a tight schedule of games don’t leave any time to delve into what happened, Atletico Madrid has a new commitment on Saturday when they visit Huesca for La Liga. The Colchoneros are currently second placed on the table with 38 units, they are only five points behind FC Barcelona who have 43. Diego Simeone’s players are currently not able to indulge themselves into slacking off, they have a very complicated visit on Saturday and they simply can’t drop off any more points if they want to still consider themselves title contenders. Despite the main objective being the Champions League this season, even the players are aware that fighting for La Liga is just as important. 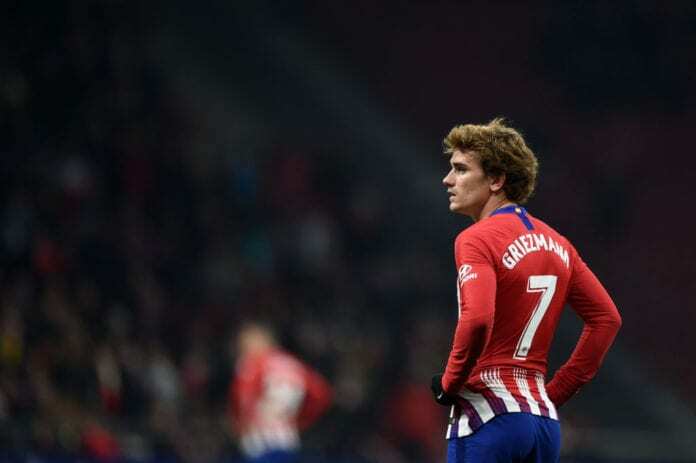 “We are okay, we are still fighting for the first position in La Liga but there are many matches still ahead and we have to see where we end up by the end of the season,” said Griezmann as quoted by Diario Sport. “We have to grow stronger and hopefully, we can get the three points at Huesca,” he added. Although the Colchoneros are not feeling quite happy for the elimination, even manager Diego Simeone wanted to let the players know that they all need to change the chip now and they can’t waste any more time. Atletico Madrid has a recent poor history with eliminations of this nature, they recently got eliminated in last season’s Champions League by modest Qarabag in the Round of 16 but they were able to recover by winning the Europa League. In past seasons, the two times European Cup finalist was already eliminated by Rubin Kazan in the UEFA Europa League and once again by Celta de Vigo in Copa del Rey. The latest from last Wednesday, just adds up to the dark history of Diego Simeone as the Atletico Madrid manager. The biggest hope is that this new setback doesn’t affect the other competitions, ‘Cholo’ is only hoping that he can have the patience this season for anything that comes his way. Because let us not fool ourselves, if Atletico Madrid doesn’t get to at least compete for the two competitions they have left with honor, there is a big chance that the club’s board of directors decide to sack Diego Simeone for next season. Which of the two remaining competitions can Atletico Madrid win by the end of the season? Please share your opinion in the comment section down below.